The acquisition of Arch Pharma Labs will provide operational flexibility and would help Neuland Laboratories meet its growth aspirations. 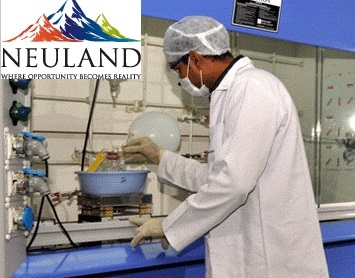 Neuland Laboratories has informed the exchanges that the company completed the acquisition of Arch Pharma Labs Ltd located near Hyderabad on December 13, 2017. The facility of Arch Pharma Labs is spread across approximately 12 acres and has a capacity of about 197 KL. It was inspected by the USFDA in 2015. It is a multi-product facility and has five production blocks for advance intermediate and active pharma ingredients (API) manufacturing. It also has capabilities for on-site development, analytical method development, quality control laboratory and a pilot plant. Neuland Labs has been at the forefront of manufacturing APIs through its cGMP manufacturing facilities, working with customers in close to 80 countries. The company derived 51% revenue from Europe, 25% from India and 13% from the US in FY17. In FY17, the company scaled up production in GDS by adding three products and two products in CMS. This is expected to improve volumes in CMS and thereby lead to higher capacity utilization. Further, launch of drug for Tardive Dyskinesia by Teva Pharma will benefit its API business. It also intends to develop 16 APIs in FY18E. The stock is trading flat at a price of Rs882, down by 0.6% or Rs5.35, on NSE at 10.48 AM.